Now joining us from New York City is Danny Schechter the "News Dissector". And he’s going to be a regular contributor to The Real News Network. Thanks for joining us, Danny. What have you got for us this week? DANNY SCHECHTER, EXECUTIVE EDITOR, MEDIACHANNEL.ORG: Well, you know, I’ve been following this whole situation with Obama and Israel, where Obama can’t do enough to please the Israelis. The Israelis want basically what they call red lines to be drawn in the sand to prevent Iran from any further development of its nuclear program, which the Iranians insist is not bomb-related. And they have insisted that for a long time. JAY: The New York Times reports that Netanyahu, quote, has inserted himself into the American presidential elections. And you wrote a piece about this. SCHECHTER: Right. 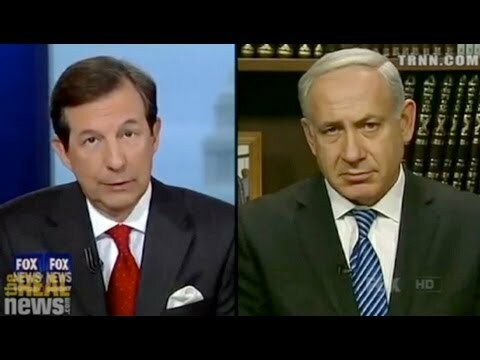 Well, up until now, Israel has used its influence behind the scenes covertly through the Israeli lobby, through all of its friends on the hill, through all of its media assets, to really try to shape the media coverage of the whole Iranian issue, the alarm about Iran stoked by people in Israel. They have a big department of media and covert action kind of fused together to try to shape the debate in the world press about Iran, to put Iran on the defensive. And Iran has been on the defensive, by and large thanks to Israel. Now for the first time, the prime minister of Israel, Benjamin Netanyahu, is actively getting involved, personally challenging the president of the United States, and in a way he’s gone beyond the lines here. He’s actually created some new lines which are kind of a violation of ordinary protocol, where the president of an allied country doesn’t step in, or the leader of that country, and attack the president of the United States. But because he has so much support among Republicans, not only big donors to the Republican Party, but Mr. Romney himself basically acting as a one-man echo chamber for whatever Israel wants, Netanyahu feels emboldened and has actually called Obama out on this whole issue and is challenging him. Obama has tried to talk to him, but is refusing to meet with him. So this issue has intruded itself in the American election in a way that we’ve never quite seen before, because it’s so public and it’s so acrimonious. JAY: And one of Netanyahu’s biggest backers, who’s also one of Romney’s biggest backers, Sheldon Adelson, in your piece you refer to some newâ€”some research that shows Adelson’s not just with political motives here. His economic motives are pretty strong. What was that about? SCHECHTER: Well, Adelson, the so-called casino mogul who’s made a fortune in Macau thanks to the Chinese, and also in Vegas, has promised $100 million dollars for the Republican Party. He’s been very close to the right-wing settlers in Israel. He supported the Gingrich campaign with millions of dollars. And now he’s supporting the Romney campaign. But according to the American progress report, they’re saying that he’s not un-self-interested in doing so, that he wants Romney to win so Romney can cut taxes, his taxes, and that he stands to benefit to the tune of $2 billion if Romney is elected and if Romney goes forward with the tax cuts that he’s promised. So this is another case where somebody appears to be acting either for ideological reasons or idealistic reasons [incompr.] actually acting on behalf of his own agenda, an economic agenda. JAY: Yeah, let me just read fromâ€”I’m reading from your piece, and you quote this report that was done by Seth Hanlon at the Center for American Progress. And according to this report, Adelson gains in this way: number one, cutting the top tax rates saves Adelson about $1.5 million from his own compensation as CEO of the casino company; maintaining special low rates on dividends, potentially saving Adelson about $120 million on a singles year’s worth of dividends; maintaining special low rates on capital gains, allowing Adelson to make back his political donations, you write, in capital gains tax cuts by just selling a fraction of the stock; provide a tax windfall of an estimated $1.2 billion to Adelson’s company, Las Vegas Sands Corp., on untaxed profits from its Asian casinos. So this shows there’s a lot more at stake here than just he believes in some kind of Romney austerity plans. SCHECHTER: It’s so blatant and so, you know, in your face in a way that we really haven’t seen before, that these political donors are not just contributing ’cause they believe in democracy or they even believe in the Republican Party. They believe in themselves, their own needs financially. And that’s what all of this is about. Sort of money in, tax cuts out. And this is why we have to look carefully at all of these various donors today. The New York Times reported that the Obama campaign is now turning to wealthier and wealthier donors. Even though the rhetoric is grassroots support, the reality increasingly is a handful of very wealthy people who also have reasons for supporting the Obama campaign that has very little to do with the kinds of changes he wants people to think of him in terms of. JAY: Thanks very much for joining us, Danny. JAY: And thank you for joining us on The Real News Network. Don’t forget there’s a "Donate" button over here. If you don’t click on that, we can’t do this.